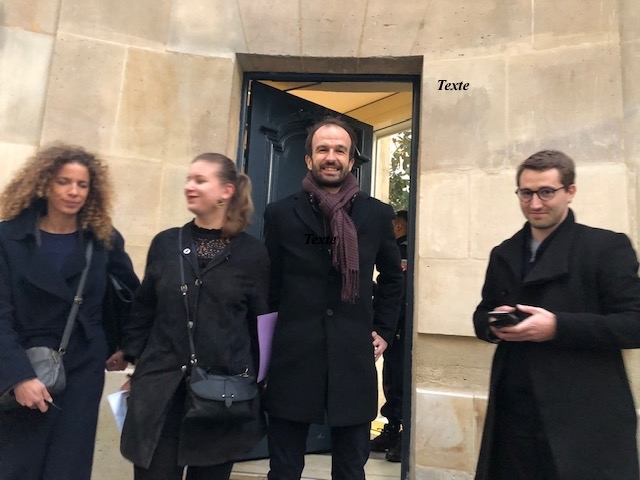 USPA NEWS - The French Prime Minister Edouard Philippe received, all day today, December 3, a dozen of members of the opposition to Matignon in order to discuss a possible way out of the crisis since the « Yellow Vests » movement started three weeks ago. The Mayor of Paris, Anne Hidalgo was the first to come, in the early morning, to present the heavy toll regarding the damages of Parisian buildings, and else, as the costs are estimated 3 to 4 Million Euros. She was followed by the ledgers of opposition, from far left to far right, including, the Republicans, Socialists and some others, including Franck Riester that actual Minster of Culture, also founded of the Party « Acting ». These meetings lasted the whole day, up to 6pm, where the PM has to rush to the Elysee Palace to attend a « crisis Committee’ with 10 other minsters, chaired by the President Macron, issuing « the next gestures of the government » to be released very soon, to calm the Yellow Vests » movement, still angry and unsatisfied, despite the violences of last Saturday 1st December, in Paris and elsewhere. The French Prime Minister Edouard Philippe received, all day today, December 3, a dozen of members of the opposition to Matignon in order to discuss a possible way out of the crisis since the « Yellow Vests » movement started three weeks ago. The Mayor of Paris, Anne Hidalgo was the first to come, in the early morning, to present the heavy toll regarding the damages of Parisian buildings, and else, as the costs are estimated 3 to 4 Million Euros. She was followed by the ledgers of opposition, from far left to far right, including, the Republicans, Socialists and some others, including Franck Riester that actual Minster of Culture, also founded of the Party « Acting ». These meetings lasted the whole day, up to 6pm, where the PM has to rush to the Elysee Palace to attend a « crisis Committee’ with 10 other minsters, chaired by the President Macron, issuing « the next gestures of the government » to be released very soon, to calm the Yellow Vests » movement, still angry and unsatisfied, despite the violences of last Saturday 1st December , in Paris and elsewhere. Leader on, Maine Le Pen, Leader of the Far Right , Nicolas Dupont-Aignan (DLF), Olivier Faure (PS), Benoît Hamon (Generation-s), Jean-Christophe Lagarde (UDI), Florian Philippot (Patriotes) or Laurent Wauquiez (LR). Jean-Luc Mélenchon (France insubordinate) and François Bayrou (MoDem) declined the discussion with the Prime Minister and were represented by some MP’s. Only environmentalists David Cormand and Delphine Batho did not ask for a moratorium. The delegation of France insubordinate (LFI) repeat since Monday « Give in or leave » to the Government. The Leaders of opposition came to Matignon (Office the Prime minister) with a bill to consider a way out of the crisis. The broom of the politicians chained all day long, Edouard Philippe received them one by one, until 6pm, where he leaved in a rush to the Elysee Place for a « crisis meeting » , including 11 months, chaired by the President Macron.Opposition leaders coldly received the Prime Minister's responses, so do the movement « Yellow Vests » who maintains the next demonstration, march of Saturday 7th December. MOST OF OPPOSITION LEADERS ARE CALLING FOR A MORATORIUM ON THE EXPECTED RISE IN THE FUEL Most opposition leaders are calling for a moratorium on the expected rise in the price of gasoline and diesel on January 1. This is one of the messages on Monday to the Prime Minister including Nicolas Dupont-Aignan (DLF), Olivier Faure (PS), Benoît Hamon (Generation-s), Jean-Christophe Lagarde (UDI), Marine Le Pen ( RN), Florian Philippot (Patriotes) or Laurent Wauquiez (LR). 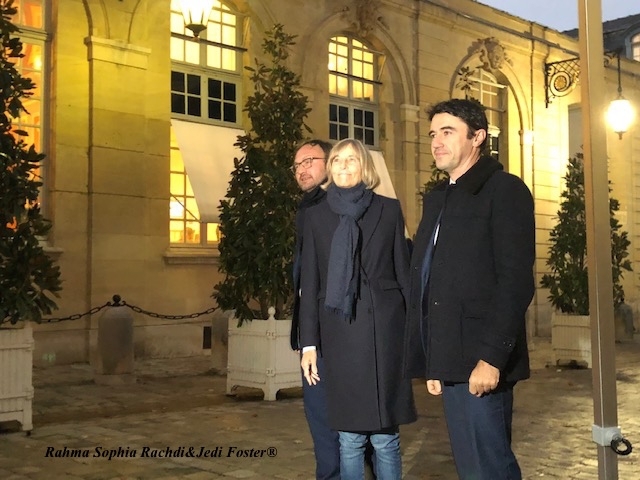 Jean-Luc Mélenchon (France insubordinate) and François Bayrou (MoDem) were represented.----------------- Only environmentalists David Cormand and Delphine Batho did not ask for a moratorium. "Give in or leave," said Monday the members of the delegation of France insubordinate (LFI) Édouard Philippe.-------------------------------------------------------- At 8 pm on TF1, TV, Marine Le Pen has camped in "unwavering support Yellow Vests +". She asked "solemnly" to Emmanuel Macron to "give up his fiscal policy". 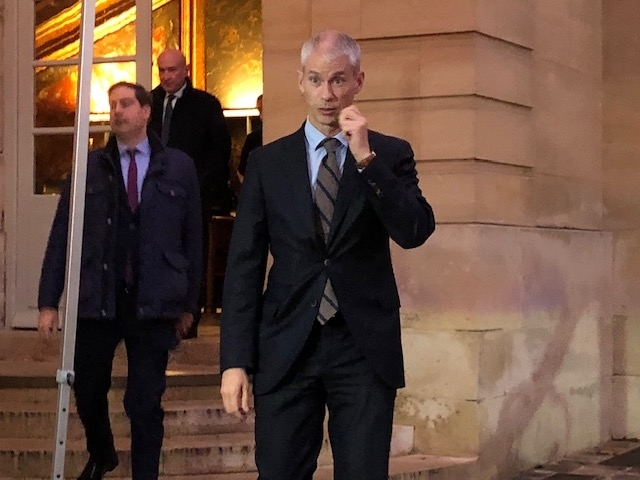 "The President of the Republic can not continue to remain silent", had judged in the morning Republican boss (LR) Laurent Wauquiez, renewing his call for a referendum on the ecological transition. 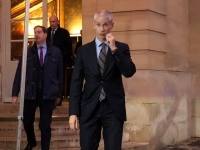 The Minister of the Economy Bruno Le Maire for his part considered it necessary to "accelerate the decline in taxes" but also that of "public spending". On the economic front, the movement threatens heavy consequences: according to an estimate of the National Association of food industries (Ania), blockages could generate more than 13 billion euros of losses in the food industry. Finally the Confederation of Small and Medium Enterprises (CPME) on Monday demanded the cancellation of the planned increase in the fuel tax, in the name of his fear of a "paralysis of the French economy." « YOU MUST CALL TO THE REQUESTS OR GO OUT" SAID FRANCE INSOUMISE AT PM EDOUARD PHILIPPE Castaner urges "not to maintain" march for climate Saturday in Paris------------------------------------------------------------------- Interior Minister Christophe Castaner on Monday night invited the organizers of the march for the climate, scheduled for the same Saturday December 8th, in Paris, to "not maintain" this event, after the violence that enamelled that of the "yellow vests" this weekend. end. "I hope, and I even invite the organizers not to want to keep this event," said Castaner about the march for climate during his hearing by the Commission of the laws of the National Assembly after the violence of the Saturday. However, he did not seem to close the door to a continuation, adding that if the organizers confirmed the parade, "we would discuss with them the terms of securing". More than 140 marches are planned Saturday in France and abroad, at the call of more than 60 associations, "to sound the climatic alarm", according to the Attac association which is part of the organizers. Late Monday afternoon, Emmanuel Grégoire, first deputy mayor of Paris, Anne Hidalgo, pronounced for "a moratorium on the demonstrations" in Paris until the social climate calms, not excluding a postponement of the march for the climate of Saturday. The executive is currently going through the worst crisis since the beginning of the five-year period, following protests launched by the Yellow Vests and accompanied by unprecedented and extreme violence since November 17th. Prime Minister Edouard Philippe justified the government's retreat: "No tax deserves to endanger the unity of the nation" and said that the government would seek to "identify and implement just accompanying measures and effective "raising of fuel taxes and paved the way for their outright abandonment:" if we do not find them, we will draw the consequences ". The Prime Minister received a standing ovation this afternoon at the National Assembly by the deputies of LREM, who after announcing his three measures on the moratorium for six months, the interruption of taxes on carbon and the increase of Electricity and Gas, initially scheduled for January 2019. "The people who wears a « Yellow Vest » are people who love France" ... During this time, many "spokespersons" "Yellow Vests" respond to journalists in Radio and TV, that they feel "unsatisfactory with the measures of the government announced today are too late and too inadequate and that they maintain their next march and demonstration of Saturday, December 8th.